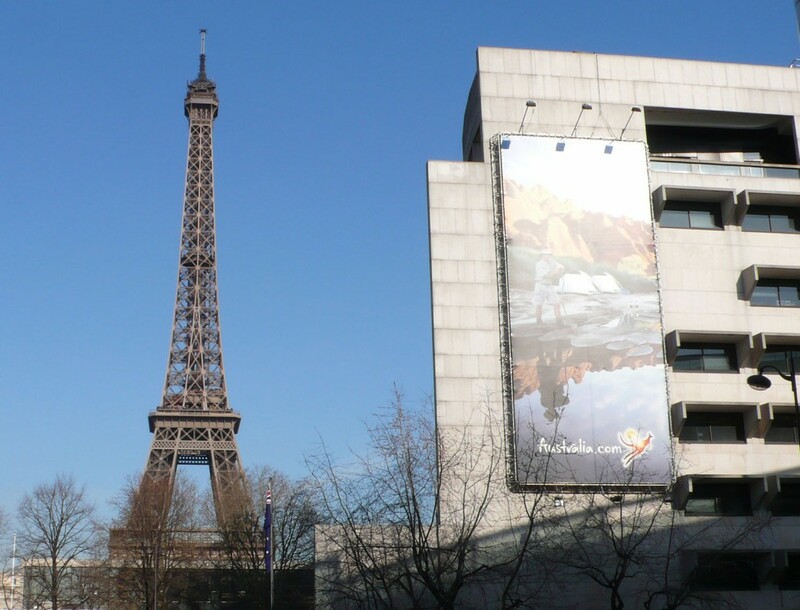 I had to go to the Australian Embassy today and the weather was so extraordinary – 8°C with a bright blue sky – that I took bus 72 in rue de Rivoli, just opposite the Louvre. I tried to use my iPhone app to see when the bus was coming but someone had tagged the little black & white thing so I couldn’t scan it. The bus didn’t take long anyway. We went down rue de Rivoli, past the Tuileries Gardens on the left and some of Paris’ best known luxury hotels on the right – Le Meurice, the Saint James and Albany, the Brighton, the Régina – not to mention Angelina’s. 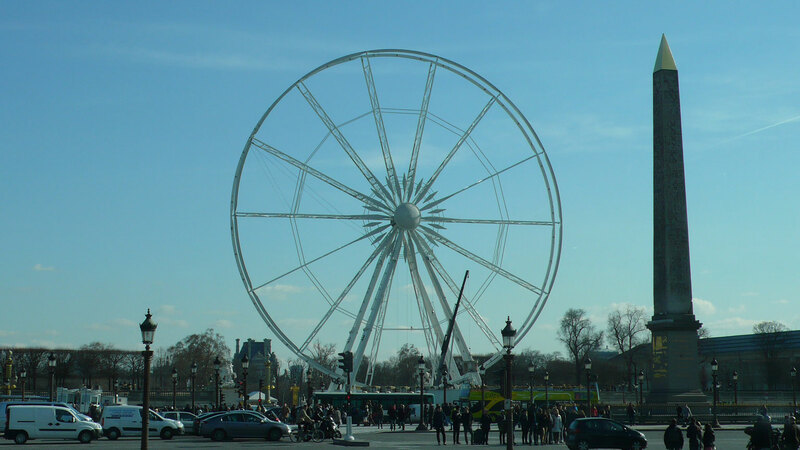 The bus then stopped right on Place de la Concorde with a spectacular view of Cleopatra’s Needle, the Louvre, the Ferris Wheel, the National Assembly and the Arc of Triumph. It then swung left and right to follow the river down to the Eiffel Tower. We went past the Petit Palais, the Grand Palais, the Palais de la Découverte and Trocadero. I got off at Pont Bir Hakeim, an elegant metal bridge built in 1905, to walk across to the Embassy. The bridge has the best views of the Eiffel Tower and is the most popular venue for seeing the fireworks on Bastille Day and heralding in the New Year. I had a real field day! The light was exactly right and I couldn’t stop taking photos. 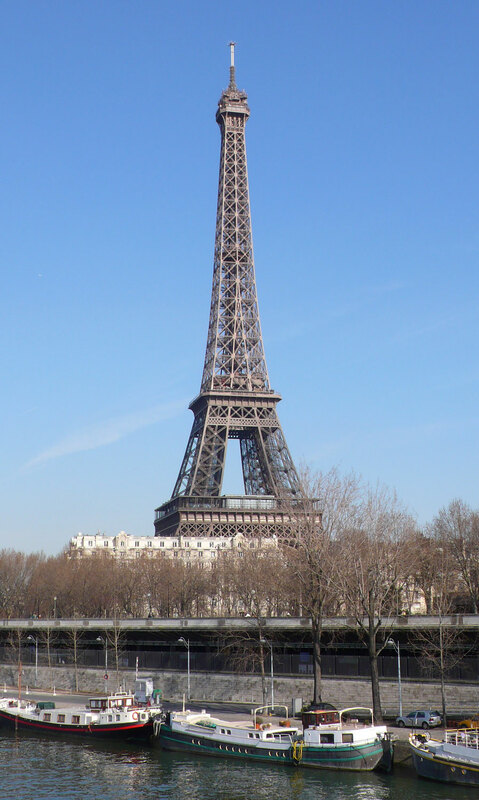 After the Embassy, I walked down to the Eiffel Tower. I never cease to be amazed at just how big it is up close. We can see it from our living room window but it’s obviously much smaller at a distance. From there I crossed back over the river via Pont d’Iéna, a stone bridge built by Bonaparte a century earlier. More photos of the Eiffel Tower with Trocadero behind me. I took bus 72 again a few metres to the right after the bridge. Further down, on your left, you can see the gold Flamme de la Liberté which is a memorial to Princess Diana who died in a car accident in the Pont de l’Alma tunnel in 1997. We continued down past Place de la Concorde with a wonderful view of the twin hôtels designed by Ange-Jacques Gabriel (what a name!) at the same time as the Place, but the bus was rattling along at such a pace that I wasn’t able to take photos. I decided to get off opposite the Orsay Museum and walk the rest of the way, crossing over in front of the majestic end pavilion of the Louvre. 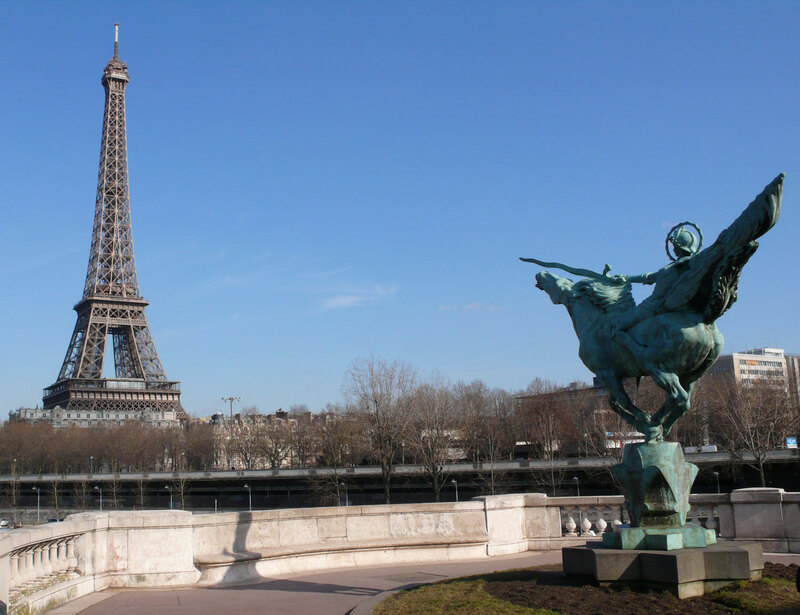 As I was walking towards the Arc du Carousel, I heard someone call my name. Amazing what a small world it is! I hope that each day you marvel at your ‘neighbourhood’. It must be one of the most beautiful districts in Europe. Ah….. Embarrassed to say that I don’t always marvel at it, particularly when there is no sun but today was truly special. 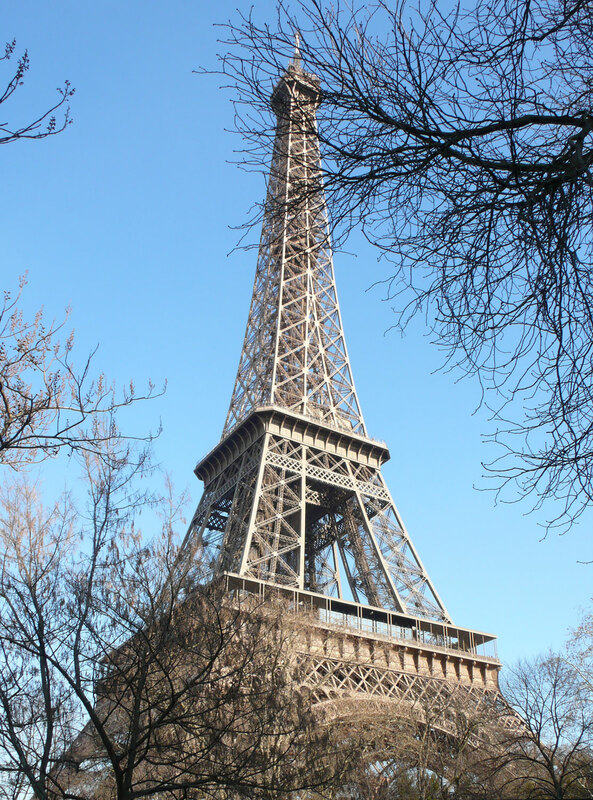 Writing this blog has made me much more aware of the beauty of Paris! 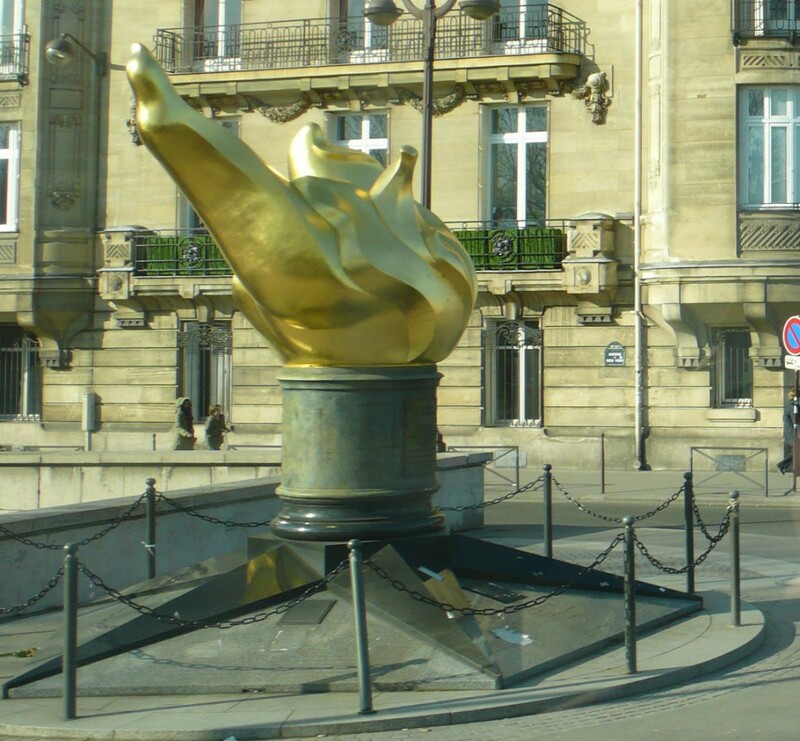 The “Flamme de la Liberté” was actually built in 1989 which is eight years before Diana died. It’s only Diana fans who “made it” a place to remember her, but officially it’s nothing like that. Thanks for that, Leonardo, you’re perfectly right. I was labouring under a misconception!